In recent news, Cikgu Azizan, made infamous for allegedly causing hurt to an 11-year-old pupil was given a discharge not amounting to an acquittal by a magistrate’s court. Based on online reports, here’s what I can get of the case. On April 6, the teacher “lost his temper” and slapped the pupil at SK Taman Semarak in the school assembly area at 7am. He was ordered to appear in court on Oct 31, charged under Section 323 of the Penal Code which provides for a jail sentence of up to one year, a fine of RM2,000, or both upon conviction. Yesterday, he was given a discharge not amounting to an acquittal by the Seremban Magistrate’s Court. This news was generally greeting with good cheer. 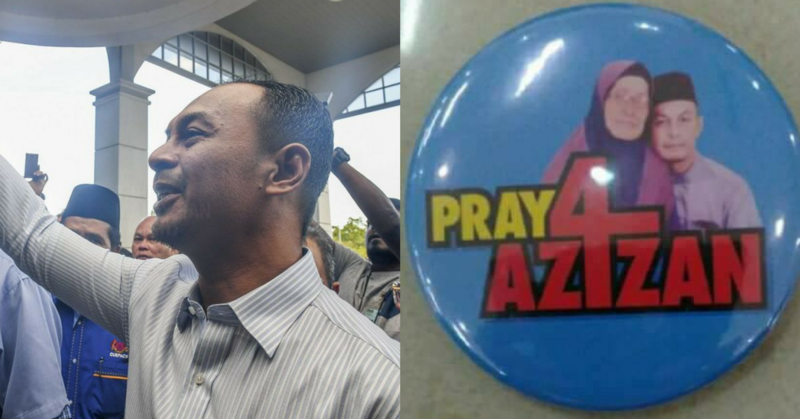 In fact, even before the ruling, there was considerable support being drummed up for Cikgu Azizan online and in real life, with the hashtag #PrayForCikguAzizan making its rounds. However, I find myself at odds with much of the general sentiment around this case. I agree that this, for now, is not a jailable offence (for many reasons, including that it’s still not a cultural norm to rule out corporal punishment). Putting anyone in jail for a simple slap is much too harsh. However, I do find the idea of the teacher going back to his workplace and resuming his job—on top of receiving so much support—as just wrong. First, to get it out of the way. It doesn’t matter what the student’s offence was. The teacher should not have laid his hands on the student in the first place. There are two possible scenarios where the slapping could have happened, which isn’t really detailed in the reports of the incident, so I will present both. One, the student was acting up, and in a fit of anger, the teacher slapped him. Two, the student was acting up, and in a deliberate decision to “discipline” the boy, the teacher slapped him. Neither put the teacher in a good light. For the first, that would mean that as an educator, he lost his temper. True, he’s human, but as an educator, he has a duty of care to his students; among that would be not to lay his hands on them, no matter the provocation. And if it was a matter of losing his temper, what’s going to happen the next time he loses his temper? More student beatings? For the second, my question is, should a teacher who considers slapping as a form of “discipline” be allowed to continue teaching? Following that logic: You were raised to be hit, and because of that, you think it’s alright for other people to be hit too? Sounds like you just expect others to suffer simply because you had suffered too. Secondly—and this is my opinion—disciplining a child should not be for the purpose of “punishing” them. Disciplining is to teach a child that a certain behaviour should not be repeated, and the child should be clear on why. Hitting a child simply teaches them to fear the pain. They stop doing something because of the pain, not because it’s wrong. Violence against children (and anyone else) is wrong. Violence against anyone using the excuse of “discipline” is just abuse. There are other ways to solve these “discipline” problems. Apparently, the student’s parents were unaware of his behaviour. Letting them know about it should have been the first step. A proper plan to educate the student, formulated with his parents’ support should have been the next step, with the most drastic measure being expulsion. If corporal punishment was deemed necessary (and I am not supporting it here, just detailing the steps), then it should have been carried out in a controlled setting and environment, with the student being very clear on why he was being punished. A random slap on the face should not be in any part of this equation. So should Cikgu Azizan just lose his job completely? Far be it for me to demand that a man loses his entire livelihood. However, I do feel that laying a hand on a student—particularly in anger—is an offense that disqualifies him from teaching them again. He could be a good teacher, in that he’s good at imparting knowledge. But, I feel his temper and/or his approach to discipline makes him unsuitable to work with children. What he can and should do is either become a trainer of other teachers, or scale upwards to deal with much older students, possibly even adults. This has been said time and time again, but children are the future. And the quality of people teaching them and interacting with them on a daily basis should be top notch, and I think it’s not wrong to demand that. I’m not a parent, and I don’t know if I’ll ever be. But I think I would have a major bone to pick with any teacher that dares to lay hands on my children. The opinions expressed in this article are the writer’s own and are not indicative of Vulcan Post’s stance on the matter.